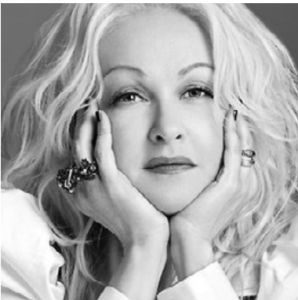 CYNDI LAUPER’S BANKRUPTCY | Jeffrey B. Irby, P.C. It’s hard to imagine how someone making as much money as Burt Reynolds could ever declare bankruptcy, so here is a story that might be more relatable. In 1980, Cyndi Lauper was a struggling musician in a band called Blue Angel. The band’s first and only album was a giant op. Adding insult to injury, the band members had a falling out with their manager, and they red him. In turn, he sued them for $80,000. Like most people, Lauper didn’t have $80,000 lying around, so in 1981, she had to declare bankruptcy. By working in retail stores and waitressing at IHOP, Lauper managed to get by, and in 1983, she released her first solo album, which was a worldwide hit and made its way to fourth on the charts. The lesson to learn from Lauper’s bankruptcy is this: It matters not whether you are $8,000 in debt, $80,000 in debt, or $8 million in debt: If you cannot pay your bills, you cannot pay your bills. And the feeling that ensues is terrible. If you are struggling with your nances, and you do not have a viable plan for resolving your debt, what is going to change the situation? Unless a pile of money falls from the sky, you will continue to struggle in the coming years, maybe even decades. As you get to stay afloat, that terrible feeling will continue to plague you, your financial situation will continue to erode, and as your debt grows, your credit score will shrink. That feeling will not go away. Instead of being able to focus on the wonderful aspects of your life, you will spend your time worrying about money. Bankruptcy sounds bad, but in reality, people who have declared bankruptcy say that it was their lifeline. When you start over and declare bankruptcy, that feeling in the pit of your stomach goes away. You can finally start saving money. You can pay your bills on time. And you might just make it to fourth on the charts!